I have a cousin who just had a baby boy and I sent her this gift. 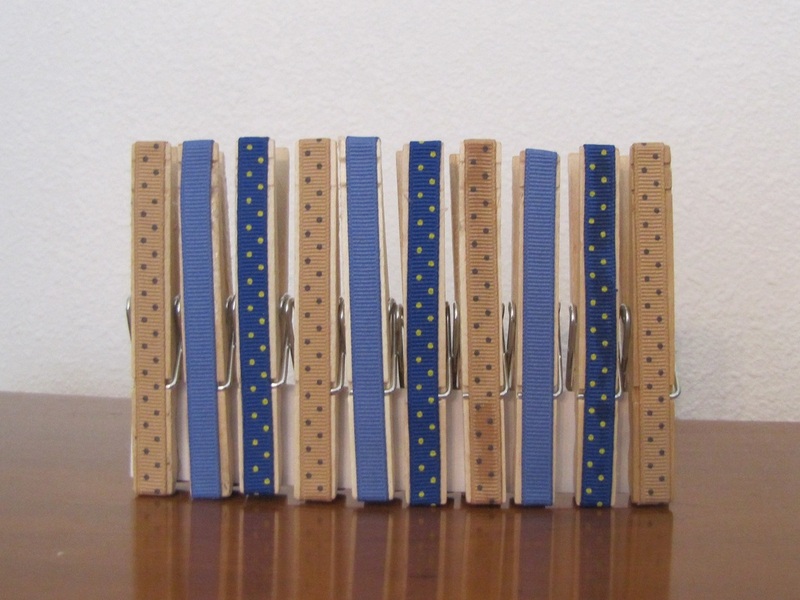 I covered regular clothes pins with blue ribbon. 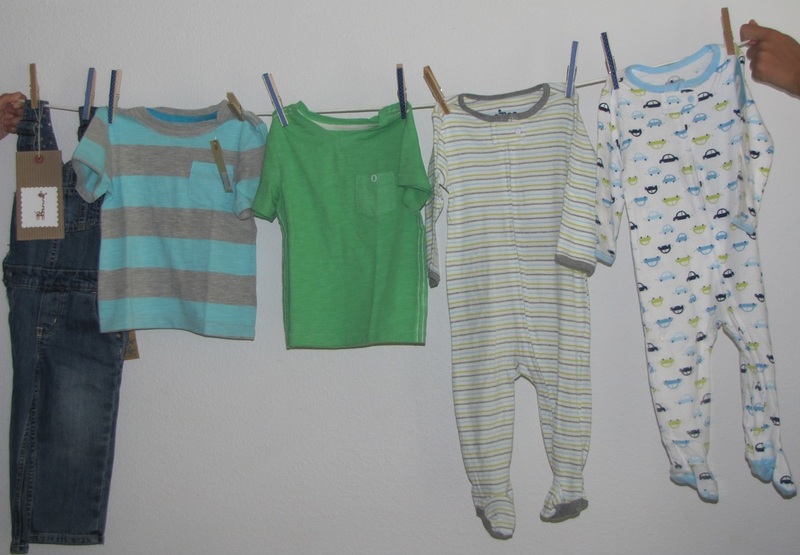 I attached the clothes to a clothes line with the pins. This is a fun presentation at a shower.